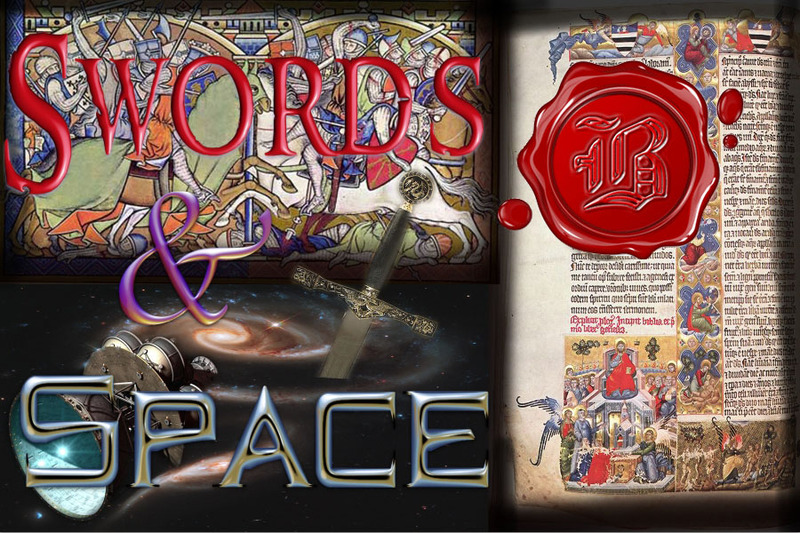 Swords and Space: Godfrey's "5 Most Ridiculous Spacecraft in Film"
I'm not a big hard-sci fi guy at all. To the contrary, I was never that good at science and bored to tears by most of it. But I do love space; I suppose I'm more of a fantasy fan. 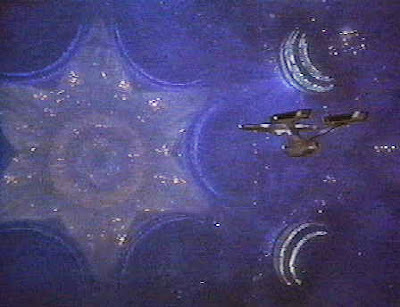 But, I have to admit that objectively most, if not all, space ships in Hollywood film are patently absurd when one considers the requirements of a real space vessel and especially the concerns over energy and fuel. Just for fun, here's a little list of -- in my opinion -- the five most ridiculous space craft in film (N.B. that many of these are from films I really like, so I'm not complaining and recognize that the artistic license taken, in most cases, worked and played an important role in making the films what they are). 5. U.S.C.S.S. 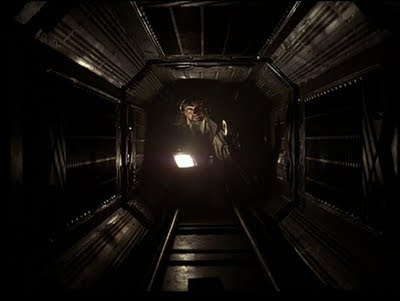 Nostromo -- The mining tug from one of my favourite films must be on this list because of the overlarge air shafts and other huge open spaces in it. Perfect for the suspense that makes the film great, but problematic for a real space ship. Still and all, I think the Nostromo isn't too "out there" and many things are reasonable about it. Certainly more reasonable than in most films. So it gets #5 on the list. 4. V'Ger -- I'm all in favour of gargantuan space ships, and my favourites are all eye-wateringly big, such as Star Destroyers which weigh in at 1,600 meters (5,200 ft) long, or Retribution Class Battleships which are estimated to be over 8km long. But V'Ger from Star Trek: The Motion Picture dwarfs those: the novelization of the film specifies the craft as being seventy-eight kilometers in length and displacing six million times the amount of space as Enterprise. I rate this as the #4 most ridiculous space craft because it is stupidly huge just for the sake of being stupidly huge, as far as I can tell. Probably interchangeable with #3 or #4 on the list, but we don't see any of the ship inside and at least some of the huge areas seem to hold some big stuff. 3. Elysium -- The Elysium is the "Noah's Arc in Space" from the film Pandorum, which I quite enjoyed. But the ship itself is ridiculousness and suffers from the same problem of the Nostromo: it seems to have been designed solely to accommodate the horror aspect of the film. Thus we have chasms, and air vents that a human can crawl through (although at least they're a bit more claustrophobic). But the huge chambre housing the cryo-pods is probably the most egregious part of the ship design -- a room so big with such a high ceiling it barely seems like a room, and with pods randomly spread out in the floor, popping out at random. Very effective for making it the hunting ground for the creatures, but not so effective for actually trying to reach another planet. The waste of fuel and other consumables for such a room renders it nonsense. 2. U.S.S. Cygnus -- As I'll expand on in another post, the U.S.S. Cygnus from the little-known Disney film "The Black Hole" is a darkly gorgeous, truly awesome spectacle of a star ship. 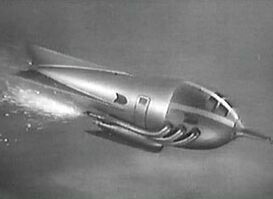 One of my favourite space vessels ever in film. But, I have to admit that on the whole it's design is absurd. Most obvious case-in-point is the crew quarters pictured below. Each crew member has a little 10x10 room through each of those doors, with a massive hallway in-between whose only purpose is aesthetic. There's a LOT of that on the Cygnus, which makes it easy on the eyes in all its Gothic glory, but a little silly. It's also rather internally inconsistent since the other ship in the film, the Palomino, is more realistic, and the aesthetic of the Cygnus jarrs harshly with the regular astronaut jumpsuits its crew originally wore -- although it meshes perfectly with the black habit-like garb of the crew post lobotomy. I think it edges out the Elysium for ridiculousness because it's all purely for atmosphere and because of the incongruity with its own "universe". 1. Space Prison MS-1 -- I give fist place for most ridiculous space vessel to the prison from recently-reviewed Lockout. It beats out the others on the list because even if its layout were somewhat reasonable, the fact that cryo-prisons (in space, no less) in and of itself make no sense at all, makes it a most ridiculous space vessel in film. But on top of that, it has the requisite air vents people can crawl through, a hideously huge room to hold the prisoners' cryo tubes (no idea WHY they did that), and overall way way more space by way of hallways and rooms than is necessary for the relatively small crew needed to watch over their frozen charges. And how it gets blown up is idiotic too ... the ridiculous police attack craft have to fly inside of it and plant a bomb to blow it up. That was so dumb I can't even comment. And in general way bigger than it could ever need to be. Overall just goofy, but it was a fairly goofy film to begin with (in a good way; again, I actually liked it despite the most ludicrous space vessel in film -- huzzah for not being a hard sci-fi guy, meaning I can overlook such peccadilloes).